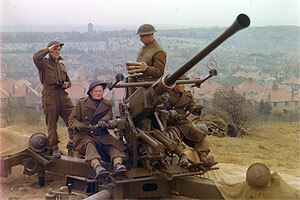 I've just watched part 2 of Channel 4's documentary The Real Dad's Army, originally aired last Monday. The series so far has been very good, and I can't wait for the final part, which will look at the secret British resistance movement. Part 2 examined the defences that were to be manned by the Home Guard, and included a walk-through of several areas of defensive lines, with many features still evident today. Of particular interest was the discussion of the Royal Military Academy at Sandhurst's 1974 wargame reconstruction of Operation Sealion, the German plan to invade Britain. It was concluded that although the Germans would overcome the beach defences and push inland, the destruction of their supply lines by the Royal Navy sinking German shipping in the English Channel would cause the invaders to eventually retreat with heavy losses. 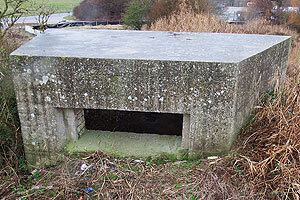 Living as I do near the invasion coast of Sussex, I grew up with pillboxes and dragon's teeth (concrete blocks designed to impede tanks) all over the local countryside. 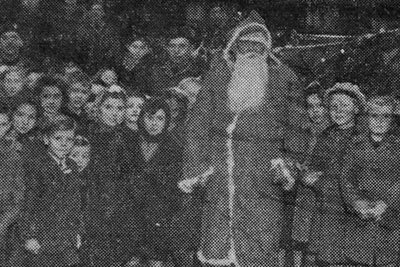 In fact, my home town was a designated Nodal Point, intended to hold out for seven days without outside help in the event of invasion. 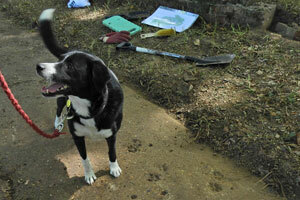 As you may know, I have an interest in the Napoleonic Martello Towers which were built along the English south coast. Finding themselves in the front line again after 135 years, some were refortified with concrete ready to meet the German invader. It wasn't just Napoleonic structures that were modified. 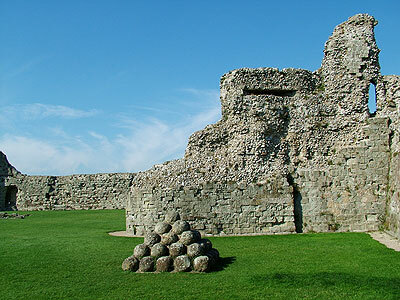 The photograph here shows an example of how pillboxes were ingeniously camouflaged, in this case as part of Pevensey Castle, originally the Roman fort of Anderida built c.340 A.D. and itself re-fortified with a Norman keep in c.1248. The Roman walls actually sheltered the last successful invading army to land in Britain; that of William the Conqueror in September 1066. These pillboxes were built of brick and concrete on the Roman/Norman ruins, and covered with the same flint and stone to blend in. This second photograph shows the rear of the same pillbox at extreme left, with a good view of the field of fire across the open fields. Had German infantry advanced across this land, they would have had a rough time of it as long as Pevensey Castle remained operational. The sea is visible on the horizon; when the Romans built Anderida, the fort was on a peninsula in the Channel and was so when the Normans landed in 1066. 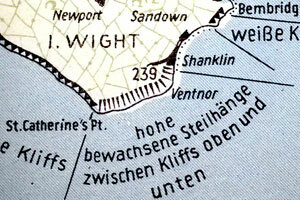 This photograph is of particular note in that it shows three of the four major coastal defence schemes on the English south coast; a Roman Saxon Shore Fort, Napoleonic Martello Towers (Towers 60 and 61) and the concrete of 1940. 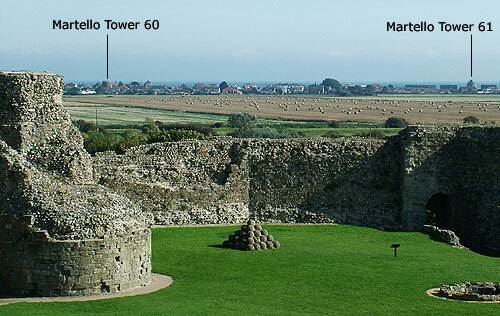 The missing defence period is one of Henry VIII's forts; Camber Castle near Rye being the nearest, about 20 miles to the east. About 15 miles to the west is Cuckmere Haven, a low-lying area where the Germans intended to land, featured in the documentary; I remember 'invading' the various pillboxes on school field trips 20 years ago. I still live about 45 minutes' bike ride from all this history; spare time and weather permitting, I may get out and about during the summer to visit the invasion coast. (German Seel�we) - Operation Sealion was the code name for the German plan for the invasion of Britain.